Son of a well known ornithologist, Anatoly Dmitrievich Kaigorodov was born in St. Petersburg and studied there at the Imperial Academy under Kuindzhi. 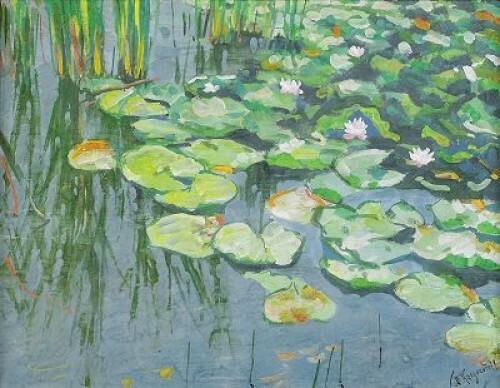 Between 1902 and 1905 he studied in Munich and Paris before returning to St. Petersburg, where he exhibited at the Academy and with the Kuindzhi Society. In 1918 he moved to Estonia, where he became very active in émigré artistic circles, teaching and organising exhibitions. Fleeing before the advancing Soviet armies, he died near Salzburg in 1945.